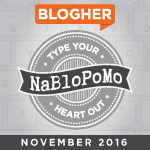 This entry was posted in Cult of appearance, Family, Sexism, Shame, Writing and tagged NaBloPoMo 2016 by Assembling a Cooking Life. Bookmark the permalink. I can only respond, “Whoa..,” not in a wait-a-minute way, but in a “stop right now and think what you are unintentionally doing to a fragile young girl and her self-image” way. Turns my stomach and I am so sorry this happened to you. Can the world have been that skewed back then? Oblivious is my middle name. Ah. Catherine. You have the great talent to tell a hard tale so beautifully.